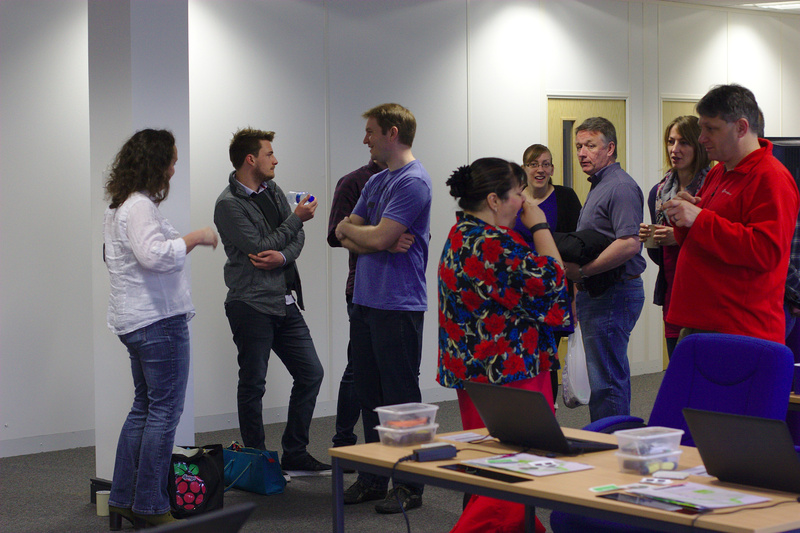 Last November (2015) I was lucky enough to attend Picademy in Birmingham, it was brilliant. It’s really designed to help teachers build their confidence in using the Raspberry Pi, showing off how to use GPIO, minecraft and PiCameras. I wasn’t sure if my background in software development would mean I didn’t get much from it, but I was wrong. I learnt so much, having the time to try things out, with experts on hand to guide me when I got stuck, not to mention the buzz and excitement from interacting with others and talking about the possibilities that the Pi presents. So by the time I left Picademy I had set myself a challenge, How do I bring this to Cornwall? I tried lots of things, talking to Google (They provide funding and a location – Google Garage), but they only go to places where there is sufficient urbanisation (or something), nevermind that Cornwall is the experiencing the second highest growth across the UK in the Digital Sector, we don’t have enough people :(, talking with Raspberry Pi about trying to fund it ourselves, but it wasn’t feasible, with the problems we have trying to get teachers together the money wouldn’t be justified. I was coming to a dead-end. Then it happened. Steve Amor popped up and said “lets just run our own”. And so it came to pass…..tecademy was born. We really wanted give attendees an experience that was similar to Piacademy. The Software Cornwall marketing engine went into overdrive and we started the campaign to get a group of teachers together, we sent out emails, letters with hand-written envelopes, posters, tweets, facebook posts and mentioned it to anybody that would listen! 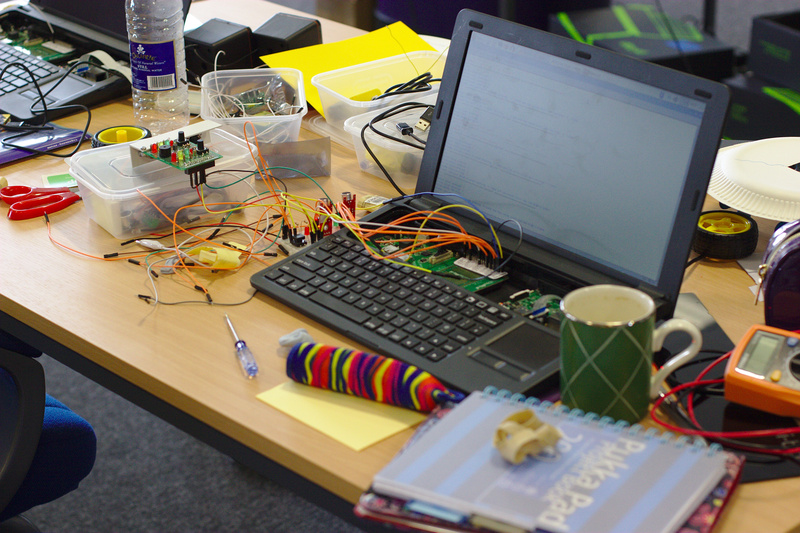 When the big weekend happened on 21st and 22nd May we had 8 eager secondary school teachers turn up ready for our Cornish slant on Picademy. We would loved to have more attend and had nearly as many mentors as attendees, but we were determined to run the first one and get the word out there that this was a course worth doing. 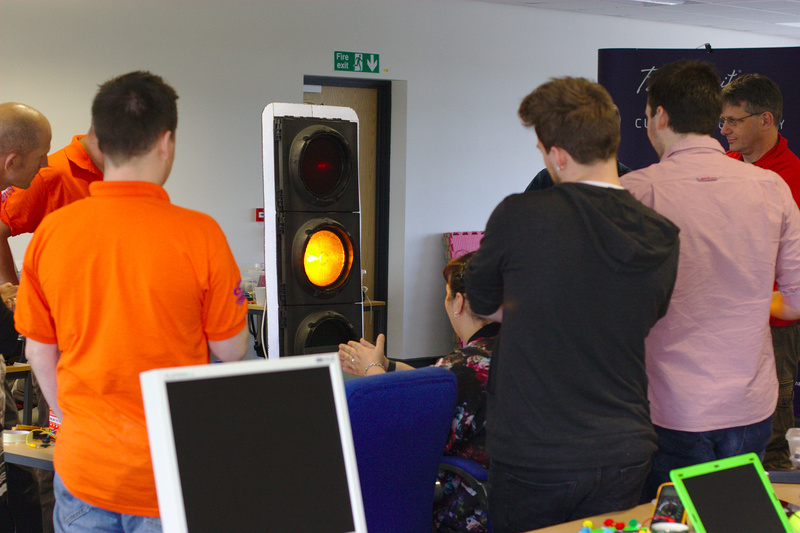 Attendees of Picademy will see how similar an experience we tried to create, and I think we just about did it! The final projects were outstanding, elements from across the weekend were brought together to make speed detectors, motion sensors linked to cameras, microbit driven push notifications to email and (my favourite!) a class room noise sensor with visible warnings. 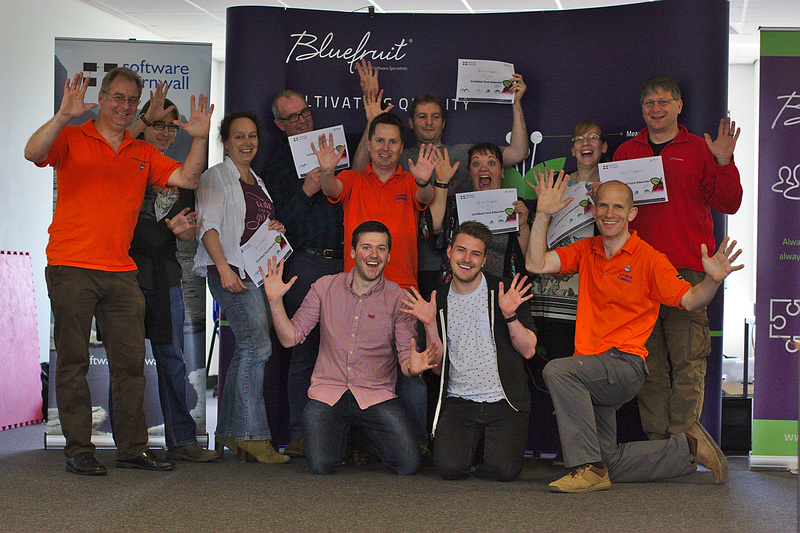 And our first set of Cornish Certified Tech Educators had their awards conferred up them! The success of the weekend was confirmed and sense of achievement enhanced with some great feedback. I think it was run very well and everything was well planned, timed and resourced. It was the best training I have ever attended – you put my teacher training to shame! Very well done. Really good – interesting to be the learner again. Intense, exhausting but definitely fun. and finally the teachers themselves for giving up a weekend and getting so involved. When is the next one Steve?